Archives of Eaton Bray News for July 2008. Bray returned to winning ways and inflicted Studham's 1st defeat of the season on a sunday in an exciting match. Batting first on a humid afternoon, severely hungover opener Andy Norris hit 50 and in true 'Harris' style was then out next ball. Ollie Wilson, his opening partner, hit a career best 37 and will be a fine cricketer if he can be available for more games. After the cheap dismissal of Peacock, guest player Matthew Molyneux, on the eve of his 40th birthday, hit a rapid 30 although he was dropped 4 times and survived 2 missed stumpings. Some farsical batting and running at the end from Jones, Roff and Barker took the score up to 187 for 9, Barker continuing his trend of being out off the final ball leaving Kerins as DNB (did not bother). Mead smashed Peacock for 2 successive boundaries, and in attempting a 3rd, he creamed the ball through the gully area. Jones, because he didn't have time to think, promptly ate it....sorry caught it. Apparently, for one split second he thought he was in cricketing heaven and a pork pie was zooming towards him. Stanton, opening the bowling at the other end and moving the ball all over the place, took 3 quick wickets to leave Studham reeling. A big 5th wicket partnership was finally broken with 50 runs needed and then Peacock got the vital wicket of Thorne for 84 to effectively seal the game for the Bray. Old timer Molyneux picked up the final wicket to ensure a 19 run win, after the final pair had survived 3 dropped catches - Peacock, Jones and a Harvey dolly being the culprits. Highlights: 84 runs from Chris Thorne could not save Studham form their first defeat on a sunday. Two bank cashiers who admitted stealing £15,000 each from NatWest were let off with a suspended sentence today. Hannah Carre, 22, from Eaton Bray, and Margaret Busani, 44, from Dunstable, claimed they stole the money from NatWest ATM machines to combat spiralling debts. Busani, who was £8,000 overdrawn, and Carre, who owed around £1,000, stole the £30,000 between November 1 and December 31 while working at the Harpenden High Street branch. The pair admitted to theft and false accounting, relating to entries in an ATM balancing book. Today at Cheshunt Magistrates Court, acting as a crown court, the two were sentenced to 200 hours of unpaid work and given a suspended sentence. David Edwards, spokesman for NatWest, said: "NatWest takes the issue of security extremely seriously and has very strict security procedures in place which we constantly review. "We have a zero tolerance policy to any breach of these procedures and it is always deeply disappointing when a member of staff abuses the trust we place in them." The next Parish Council meeting to be held at the Coffee Tavern on Monday 1st September 2008 at 7.30pm. Items for the September agenda to be requested no later than Thursday 21st August 2008. After last weeks rallying call from Jones, he certainly got the response he wanted in this thriller with local rivals Soulbury. The fact that the match was also played in a great spirit was a credit to the captains (Stopp of Soulbory and Kerins, Norris & Peacock for the Bray). Great to see Will Caughie back in his whites and spend some time in the middle although his gloves still have traces of blood on them and in dropping a catch he managed to avoid the ball hitting him on the head for the first time ever! Batting first, Bray got off to a flyer with Norris hitting 64 and Peacock a rapid 35 before that man Stopp claimed both wickets to put the brakes on. Bray lost their way a little and ended up 162 all out of the final ball, Coughtrey running out Jake Barker scanderlously off the final ball. The scorer and tea lady, Judy Stopp, started off claiming to be neutral, although as the game progressed it became more and more evident that she was routing for the visitors. Allegations of doctoring the scorebook, at this time, remain unproven, although statisticians are continuing their investigations. Kerins & Coughtrey kept it tight but the introduction of the extra pace of Peacock caused the openers problems, and the breakthrough came when DC gloved a vicious bouncer through to the keeper. Coughtey picked up an lbw and Peacock got a wicket from a long hop! That brought in Stopp (Yes at number 5!!!). He took an age to get there, got heavily sledged in the process and then Peacock sent his off stump cartwheeling out the ground 1st ball!!! The scorer then entered the fray, giving Peacock a slap across the face!! However, dangerman Sear was still there, and with only 4 frontline bowlers (if you include Jones), Bray had a problem. Hearn was called up to the job, his 1st bowl for 20 years probably! But Sear kept the score ticking along at the required 5 runs an over and with 3 overs remaining, the batsmen looked favourite. Wilson was called up to bowl the 1 over Bray were short and was unlucky not to get a wicket as he went for 9. 6 needed off 2 overs. Kerins bowled 5 balls for 2 runs. The batsman hit the next ball to mid off and the diving Coughtrey deflected the ball to Peacock who threw the stumps down to run the batsman out! 1 over left and 4 needed to win, with Sear off strike. 1st ball wide from Hearn. Just to keep it interesting he said. 2 legitimate dot balls followed. Next ball hit over the top for a single. Sear on strike and he creams it through the covers for 4 to win the game.................NO wait, Jake Barker (after his toilet break for a No2) at full stretch, dives and stops the ball to keep it to a single. Scores level, 2 balls remaining. Dot ball follows. Last ball, the batsman hits it back to Hearn who runs him out and the game is a tie!! On Saturday 7th June players and parents of the 10 teams from E B Lions AFC gathered at Edlesborough School for their annual end of season awards presentation. All the players received a trophy in recognition of their contribution and hard work and each team manager nominated players for the special individual awards of "Most Improved Player of the Year" and "Manager's Player of the Year". The players in each team voted for their "Player of the Year" from amongst their team-mates. The club would like to thank Edlesborough School for kindly allowing us to make use of their premises and facilities. U14 - Lee Cavendish, Jack Coates, Matt Lancefield, Sam Marshall, Jonnie Moriarty, Gus Thorne. Our Under 12's had previously tasted cup success when winning the Under 9's Chiltern Junior Sevens League Cup. This season they reached the semi-final in both League and County U12 Cups, beating several high placed division 1 teams along the way. Not to be outdone, the young players of the Under 8 Reds team also impressed us. They showed a maturity of play well beyond their tender years and also reached the semifinal of their cup competition. Meanwhile the Under 9 team were successful in the league, stringing together a run of twelve consecutive victories to finish runners-up in division two of the Chiltern Junior Sevens league. We established two new girls' teams at under 10 and under 12 this season. Few if any of the girls had played competitively before but they showed enormous enthusiasm and the results improved beyond our expectations as the season progressed. The under 10 Girls finished in the top half of their league. Given that the girls were all new to this and were playing some established Clubs we think this is a remarkable achievement. A major achievement for the club this season was receiving FA Charter Standard Developing status. We are one of only 8 clubs in Bedfordshire to do so. The FA Charter Standard Programme provides recognition that clubs are well run and sustainable, with child protection and safety paramount. It also recognises a club's commitment to coaching, player and coach development, and the raising of standards of behaviour in the game - all of which are big priorities for the Club and the FA. We have made several new appointments during this year. Lewis Taylor will be Senior Coach to act as a mentor to new coaches. Nick Bramston is our fitness coach and Steve Rogers our goalkeeping coach. Carol Mercer is our New Team Co-ordinator - seeking out players for new teams each season and forging links with local schools. The club would like to thank Eaton Bray and Edlesborough Parish Councils, Edlesborough School and Dagnall Village Hall Committee for their continued support. -- Liz Coates, Press Officer - EB Lions AFC. A series of further measures and reforms designed to help alleviate the current challenges in the housing market and to support the vital delivery of more homes over the long-term, are being announced today by Housing Minister Caroline Flint. The measures are part of a new update, published today, on progress to delivering more homes, helping first time buyers, supporting existing home owners, assisting the industry which is currently facing tougher conditions, and ensuring that the right foundations are in place for a recovery in new build starts. "The package being announced today will both help people facing difficulties right now, and lay the foundations to help meet the long term housing needs of the country. "That means being ambitious, but also practical and realistic, acknowledging not only the difficulties faced by individuals and families, but for those who work in the house building industry. "We are determined to continue to do everything possible to promote long-term stability and fairness in the housing market. The international credit crunch has created significant challenges not just for the UK housing market, but in other parts of Europe and the United States. "However, the long term need to provide more homes has not gone away. We have a growing and ageing population and will only see worsening affordability unless we increase housing supply." New partnerships between the public and private sector that will put councils back at the centre stage of providing homes. The first 4 Local Housing Companies will be announced today, in Barking and Dagenham, Newcastle, Nottingham, and Manchester. Under this new partnership between councils and the private sector, councils put forward their surplus land into the Local Housing Company and have a full part in agreeing the development, which must include at least 50 per cent affordable homes. In return, private sector partners, provide the equivalent investment and homes and skills needed to build the homes. New proposals to deliver up to 75,000 homes in 20 more towns and cities, with £100 million into these areas for the schools, hospitals and other facilities needed to support homes, The councils in these areas of high demand, from Northumberland to Cornwall, have been selected as New Growth Points and have pledged to increase the number of homes in their local areas by up 20 per cent by 2016, delivering a total of up to 75,000 extra homes. Allocating the first tranche of a £510 million funding pot to reward councils who are working to bring land forward for development, helping to provide more homes and give the house building industry greater certainty that suitable land will be available when the market picks up. The Housing and Planning Delivery Grant is a direct incentive for councils who are taking action to meet the housing needs in their areas and rewards those putting plans and land allocations in place. Confirming that more funding, beyond the £200 million already allocated to buy unsold stock from house builders for affordable homes, could be made available, should the properties by in the right place, at the right price, and offering good standards. The Government believes this is the right approach rather than setting an arbitrary cap on the figure, to avoid the purchase of inappropriate properties. The Housing Corporation is now in discussion with many of the major house builders to discuss options for bringing unsold homes into the affordable housing sector. New plans to work with local authorities and housing associations to examine proposals for mortgage rescue schemes and the wider role they could play in supporting home owners. Some councils, for example, are assisting housing households through an emergency hardship fund, usually in the form of loans, as part of their homelessness prevention work. The National Housing Advisory Service will shortly publish a new advice leaflet for home owners, pulling together all the up-to-date contact details of major national money, debt and legal advice agencies into one consumer friendly document. The leaflet will be distributed in August by local authorities, CAB, Shelter, and money advisers. Where is the Fattest Street in our Village? It's not only the nation that is becoming fatter according to Anglian Water. The arteries beneath our streets - the sewers - are becoming furred and blocked. Why is this happening? Because more and more sinks and drains are being used as an invisible dustbin. Fats and oils in the sewer can cause costly blockages, resulting in sewage flooding. This can be very traumatic for anyone who experiences it, and can also be devastating for the environment and wildlife. Fats and oils in the sewer can attract rodents and slow down the flow of wastewater, increasing its scepticity and heightening the amount of odour experienced as a result, especially in hot, dry weather conditions. The sewerage system plays one of the most important parts there is in protection of public health and is need of some protection itself. Do you know where your fattest street is? Why are fats, oils and greases causing problems now? Fat production for cooking has trebled since the 1960s. We eat out more, use more takeaways and eat more convenience foods. As emphasis on recycling and tighter controls on waste collection have grown the temptation to throw more waste down the sink or drain has increased. The amount spent on jetting costs to clean sewers has trebled in five years, according to Water UK. How do sewers become blocked? There is a view that you can pour hot fat down the sink or drain - don't! If you do it could cause a blockage resulting in sewage flooding in your home, your neighbour's or in the street - and if gets into a river or watercourses it can be devastating for wildlife. Hot fat quickly solidifies in the sewer and can become hard as rock taking specialist equipment to get rid of it. Cooking oil can mix with grit etc in the sewer. Abuse of sewers in this way can lead to increased rodents - in one trial that Anglian Water has carried out with WRC (Water Research Centre) in Chelmsford, the rodent population was significantly reduced when restaurants and takeaways took active steps to dispose of their fats, oils and grease responsibly - and there have been no cases of sewer blockages! What should we do with our fats, oils and grease? Collect fat and oil in a container which can be used to mix with seeds and nuts to feed birds. Scrape food waste from plates into a bin - do not jet wash or rinse them under a tap. Use an organic fat trap to soak up fat - this can then be thrown in the bin. If you have a fat fryer lobby recycling centres to install containers for the collection of cooking oil - at the moment they only seem to recycle motor oil. Restaurants and takeaways should have their oil collected for conversion into a biodiesel. They can also use a grease trap which is changed daily or use an enzyme product which should be used carefully. According to Water UK food outlets are one of the main sources or problems that are experienced in town and city centres. Have you smelt a bad whiff walking down your high street? It's more than likely caused by fat in the sewer beneath your feet. Make sure your favourite restaurant or takeaway is disposing of their fats, oils and greases responsibly! Ten per cent of the capacity of our sewers is being lost to fats and oils. This amounts to 10,000 tonnes, which if converted could make 10 million litres of biodiesel, enough to run 8,000 average family cars for a year. Jetting out sewers costs £5million a year in the Anglian Water region. It is money literally down the drain, because unless we change our habits, no sooner has the sewer been cleared than the fat starts building up again. We are also trying to reduce our use of energy in the face of climate change. Regular jetting also takes its toll on brick sewers as in the case of one street in St Ives where the sewer collapses because of the mortar that is blasted out of the brickwork when jetting takes place. The message is clear - help put sewers on a diet and don't sink your waste! Anglian Water is working with District Councils to combat the problem. Food outlets have been contacted by letter and have been asked to fill in a questionnaire outlining how they are disposing of their fats, oils and greases. They are being encouraged to have their oil taken away by reputable licensed operators. A reward scheme is also being launched in which those who are seen to have exemplary standards will be acknowledged through a sticker on the door and certificate so that customers and the local community can see that they are playing their part to protect the local environment. Another disgraceful lack of commitment by the members of the club led to a 3rd game being cancelled due to lack of players. With some players pulling out on Friday and Saturday!! Understanderably Knebworth Blues were extremely unimpressed and we'll be lucky to get them as a fixture for next year. We will also have to cover their pitch hire and tea costs of about £50. If this situation happens again the Sunday skipper will suggest to the committee that all Sunday fixtures be cancelled for the remainder of this season. The club will then have to decide if Sunday fixtures should be disposed of entirely. This will create less opportunity to bring through new players and youngsters. All because most players seem to think their commitment to the club finishes after their game on a Saturday. The sun's shining brightly, there's a gentle breeze, the temperature's currently in the mid seventies (or mid twenties if you're one of those new fangled metric modernists), and being a Tuesday afternoon I've decided to head up to the courts to enjoy one of our regular weekly club sessions for an hour or two. I must admit I haven't played for a few weeks, but I've run out of excuses - there's only so many elderly relatives who can unexpectedly pop round at the last minute - and my waistband has subsequently expanded to a level whereby I'm having serious problems inside my shorts. I'm convinced that it's partly due to the move to metric when all the tennis trouser manufacturers messed up the inches to centimetres calculations, and so what I thought was a 38 inch pair of tennis shorts actually turned out to be a 34 inch, or something similar. Anyway with that and my slightly expanded midriff there's no way I can squeeze into these without giving my fellow players a very nasty shock, so it's up into the loft to find the 'fat boy' box into which I triumphantly threw all my larger clothes the last time I managed to lose a few pounds. Hmm, even the loft hatch has contracted since I was last up the stepladder; must be something to do with the central heating. And the ladder's developed a worrying creak too. Right, ready to go. Nicely decked out in a pair of khaki shorts which spent a previous life as a circus tent, and an old grey t-shirt emblazoned with the slogan 'Glastonbury 1985' Fortunately I don't have any photographs of me from that era, mainly because no-one would risk breaking their cameras and take one. Imagine the big hairy guy from 'Lost' and you're getting near. Throw my racquet in my bag, chuck in a couple of cold cans of Stella for emergency refreshment, and head off. It turns out perfectly; there are 12 of us, so three sets of doubles. We play the best of five games in each set before mixing ourselves up into different pairs and doing the same again. My partner and I stroll to a five-luv defeat in our opening set, which I was disappointed to find meant a lot of running around, mostly fetching balls that had whizzed past us. It's extremely hot still and I begin to regret leaving my favourite iron lung at home. Determined to put in a better performance in the second set, I find myself paired with one of the club's better players, who's very gracious and kind repeating phrases like 'oh bad luck', 'better luck next time' and 'what the blazes was that?' as he finds himself on the losing end of a set for the first time in several months. Still it was four-one so at least we got a game, I remind him - the one in which I don't think I touched the ball once - which doesn't seem to appease his steely stare towards me. By this time my powers of speech are suspended due to my urgent need to use what little energy I have left, just to breathe. According to my heart monitor I should be in resus. So imagine my delight when a 13th person appears wandering up the path from the car park! They wouldn't want to sit out, would they? No sooner does she pass the clubhouse, I have my racquet packed away, my bag over my shoulder and am dragging myself off court in the general direction of my car in a somewhat haphazard manner due to my legs refusing to go where my brain is pointing them. After all, I don't want anyone else getting any ideas about an early bath! And anyway I'd locked them all in when I shut the court door. Of course I'll be back. We have a lot of fun both on and off the courts, and no-one minds at all if you're a beginner! You could even pair up with me and teach me a few things! We have several social playing sessions every week plus coaching, competitions, league matches, and the most amazing ball-machine that has to be seen to be believed. It even has a remote control just like my telly, although my telly doesn't shoot tennis balls at me at 100 mph. Mind you, nor can the ball machine get BBC One, so each to their own. So do give us a call if you'd like to join us, even if just for one session to see if you like it. We'd love to see some new faces up there this summer. For any further information about the club, including when we get together for our social tennis sessions up at the School Lane courts, or our various activities, please contact either Chairman Ross Bagni, Coach Nick Boys, or if they're all out and I'm not having a little rest in my iron lung, me, Andy Cross. The motorway was crowded with cars, vehicles were moving, but at a snail's pace. Bumper to bumper, the lines of cars stretched as far as the eye could see. Stopping, then starting again, we edged forward. This really shouldn't happen - four lane motorways were built to keep traffic moving. What was the cause? - yet another accident - careless driving - too much lane dodging - someone, tired at the wheel, fell asleep? Whatever it was, it certainly caused consternation. Before long, police cars and ambulances forced their way through the traffic. All was now at a standstill. !! Later in the day we heard on the radio, that several people had been injured - three had died. As we travel on life's journey we would do well to be aware of the pitfalls that might befall us - swerving from lane to lane, doesn't mean that our destination will be reached more quickly. It is possible that because of poor judgement we could endanger the lives of others. Even the possibility that we are on the wrong road could cause us to veer across the path of other drivers. What a tragedy it would be if our journey were cut short and we hadn't made the decision to follow the path of righteousness. Not all roads are pleasant to travel on, some of the minor roads are quite bumpy, full of pot holes, quite dangerous in fact, We sometimes have to resort to map reading or 'sat-nav' to find our way - but the road of life has been smoothed for us, because of the one guide who has gone before us and prepared the way, His name is Jesus. Remember when you make your journey to take along with you the guide line that you really need - your bible. Many years ago, during the middle 1700's, a young medical student took up open-air preaching. His name was William Williams; for almost half a century his journeys took him over the mountains, roads and tracks of Wales, averaging some 3,000 miles a year. Next time you are caught in a traffic jam, think of him, and try singing the words! On Sunday August 3rd. ; the morning service at 11am. will see us saying farewell to Lt.Cols. Brian and Dorothy Knightley who are retiring from service (again !! ); we wish them a long, happy and healthy time together. On the 10th of August at 11am. we will extend a warm welcome to the newly appointed officers, Captains Ray and Linda Charlton. May their time with us be well blessed. I was interested to read in the June issue of Focus that some of the Edlesborough Book Group read The Memory Keeper's Daughter by Kim Edwards as their April book of the month and to note their summing up of the many themes running through this novel. Most poignant of course is the plea for disability to be recognised and accepted, which prompted me to write. Here in our four villages I imagine that over the past 25 years at least, many people have had the opportunity to meet and get to know our residents who have Down's Syndrome, of whom I know there have been at least three in that time and I hope this has increased understanding, awareness and acceptance. I wonder how many of you though know much more about Down's Syndrome beyond the visible characteristics which make it recognisable? About 1 in 700 babies are born with Down's Syndrome, which means roughly 2 every day here in the UK. About 47% of babies born with Down's Syndrome also have congenital heart defects. Many require open heart surgery within 3 - 6 months after birth and may need further surgery later in life. People with Down's Syndrome have a higher incidence of other medical problems such as Coeliac Disease, Thyroid Dysfunction and hearing and sight problems. And how many of you were aware that Eaton Bray is the base for a small national UK charity which provides support and information for families and carers of people with Down's Syndrome who have heart problems? 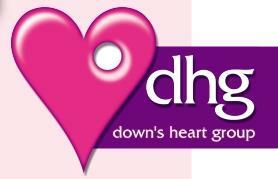 Down's Heart Group was started in 1988 by a group of parents and has been helping families ever since. I became involved after the birth and subsequent loss of my second son Daniel and the Group has been running from my home since about 1990. We are not big and well known so we don't attract huge financial support like some other charities and being national we usually miss out on local grants which focus on a small area, but we are grateful to have had some support from the carnival. We do provide a vital service for families and without office overheads etc. we are great value for money, but like a lot of organisations lack of funds threatens our continued existence, so in just over 18 months time I hope to embark on a 10 month long fundraising and awareness campaign. It would be fantastic to get some local support having lived in Eaton Bray for 22 years and my husband being Dagnall born and bred. What I am hoping to undertake is a series of events / tasks which I can be sponsored for either individually or collectively. I'm willing to consider any suggestions but nothing too adventurous please as I've had surgery on both knees and did some irreparable damage when I broke my foot a few years back. The kind of things I'm thinking of are aerobatics in a glider, a balloon flight, driving a Rolls Royce, appearing as an extra on a TV soap, a tandem skydive, perhaps I could even do something at the village carnival? I'm hoping to be able to do most things for free or at reduced cost and to look for sponsorship to either help cover costs or as a donation. So if you've got any contacts that might like to get involved, please let me know, I'm planning to use my media contacts to get some good publicity over the months and will be more than happy to mention sponsors, wear logos etc. Oh and I could probably do with someone to help manage all the planning etc. as I'll have to fit it all around my normal work for the charity - anyone fancy being my PA for the year? Basically I intend starting on January 10th (the date it was confirmed I was pregnant with Daniel) and ending on November 13th (the day he died). Probably the final event will be a dinner dance to coincide with Down's Heart Group's biannual Conference when I hope to invite along many of the young people and families I've been privileged to know over the years. Why 2010? Well on August 3rd I'll reach my half century and I've decided to try and put a positive swing on what will be a difficult day for me - NOT because I'll be 50 but because on that same day my Daniel would have been 21! So if you can help me to make 2010 a positive year celebrating my son's short life and the marvellous gifts people with Down's Syndrome can bring into our lives, please get in touch. Post Office Ltd today announced the proposed closure of 19 of the 88 existing post offices in Bedfordshire, with Eaton Bray post office among those threatened. Thursday, 7 August (5.30-7.30pm) at South Bedfordshire District Council offices, High Street North, Dunstable. Mid Beds District Council, said: "This is a significant issue of considerable concern for our communities. Those most badly affected will be the most vulnerable members of these communities - the elderly, the disabled and the disadvantaged. "It is important that people send individual letters giving their reasons for opposing the specific closure of particular post offices. These have had a much greater impact than general petitions. So getting as many people as possible to write in defence of their post offices is vital. "I am sure that many parish and town councils will want to make a formal representation against the closures. Other organisations and businesses in the affected areas should contact their local town or parish council and work with them to make a combined, formal representation, as well as encouraging individuals to write in". Edlesborough Post Office is not marked for closure, and can be found under Post Offices "proposed to remain in the Network" in the Dunstable area. To obtain a copy of the detailed Area Plan proposal for Cambridgeshire, Hertfordshire, Bedfordshire and South Lincolnshire, visit www.postoffice.co.uk/networkchange or write to Post Office Ltd at Freepost Consultation (no stamp required) or email [email protected] . Consultation is due to end on August 26 2008. This year's Carnival was another great success. "Thank you to everyone who helped make Saturday's Carnival so fantastic. As a community event it was quite unsurpassed." Results and photos are now on the Carnival website. Eaton Bray Lower School is very pleased to announce the opening of its new pre-school facility in a purpose-built setting within the school grounds. We are now able to formally join forces with the successful Eaton Bray Pre-School Playgroup on the same site to combine our efforts for the further benefit of the children and wider community. We are very lucky to have been able to take a creative and innovative approach to the building due to the skill and vision of one of our governors, the architect Andrew Whiteley, whose contribution is greatly appreciated. 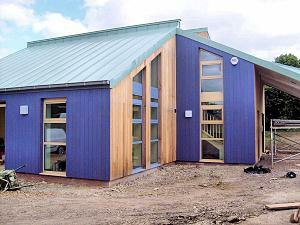 With a design that is light and airy, and using materials that are more environmentally-sensitive than a standard building approach, we are certain that this will provide a wonderful environment for the children to enjoy the start of their learning experiences at (pre-)school. The school is already blessed with generous grounds to allow plenty of outdoor learning opportunities on a secure site, in addition to those offered in the building, and the preschool group are excited about having dedicated facilities available. By September 2008, the new building will be open for childcare from 7:30 a.m. to 5:30 p.m., rather than just the morning sessions that the Pre-School Playgroup have been able to offer previously. Formal pre-school sessions will be running in the morning and afternoon, with further options for childcare at Breakfast Club, Lunch Club, and After-School Club. The aim is that, from the start of term following the child's 2nd birthday, full-day care will be available to support those families where all parents/guardians are working full-time. Extended services are also available at school, with the county's Children's Centre service offering sessions on matters of family health and welfare. Further details of these sessions will be advertised in due course. Once the Pre-School and Children's Centre services are up and running, we will turn our attentions to other activities that make the most of our new facilities, with learning opportunities for the wider community, such as the successful ICT Club that we have run. Clubs and sports activities to be run during the school holidays are on our radar, and we hope to start preparing those for 2009. Word does seem to have got around already about the new facilities opening, and we have had a high number of enquiries for children to join us, so we would encourage any other parents/guardians of prospective pupils to contact us soon and arrange a visit. If you were unable to join us when the new building was open for the summer fair on June 28th, please call the school on 01525 220468 or email [email protected], and we would be pleased to show you around. After 2,083 miles of cycling from one end of Great Britain to the other (and back!) in aid of Macmillan Cancer Support, Andy Gibbons cycled back into the village this evening at about 6pm, just in time for the Carnival this weekend. 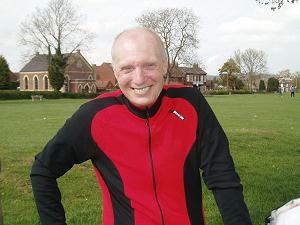 There is still an opportunity to sponsor Andy's tremendous effort on behalf of Macmillan Cancer Support. There is also a board in St Mary's Church with more details and photos from Andy's amazing cycle ride. Hat-tricks and hundreds don't come along too often. Certainly very rarely do they happen in the same game. Poor old Newport Pagnell copped both! Michael Jarrett recorded his second ever league hat-trick in his 31 seasons of toil, and Wes Hosking scored his first century for the club. The amiable Aussie who couldn't top fifty last season is now the league's leading run scorer in 2008. Bowler Gary Ellerton is matching Wes, knocking over the stumps more regularly than any other bowler. Not surprising really as Gaz is quick. Gary's best performance was against Milton Keynes Village when he took 5 wickets whilst conceding just 7 runs. The first team has made an excellent start to the season and leads the first division at approaching the half way mark. It is however a different story for the Saturday seconds and the Sunday friendly team. Both teams are struggling. Player availability causes problems for both teams, as the first team takes priority for both individuals and the club. But both teams have given opportunities to the newcomers. Ben Martell and Steve Shepherd have performed well with the ball, Dave Hopkins and Glen Hearn have consistently scored runs, however Jason McDermid has yet to have cause to blow his own trumpet! Every year the cost of running and improving the club increases. The club is very fortunate to have within its ranks skilled and willing handymen, keeping the overall costs down. In addition it is extremely grateful to the two sponsors Hawkins Transport and M&M Properties. The extra financial support allows the club to maintain its high standards and playing facilities. The club wishes to thank all those that support the club in anyway and wishes to remind everyone that the 100 club is due for renewal! You are viewing the July 2008 archive.